Tailor Page builder is one of the best and leanest page builders out there. What makes it cool is it’s simplicity and how naturally it blends with WordPress. Even the plugin king, Pippin Williamson showered praises on Andrew’s plugin. As a developer, I always look out for plugins that are easy to extend. That’s why I love Paid Memberships Pro and Easy Digital Downlads. In fact, a plugin without plenty hooks and filters is a child’s play. 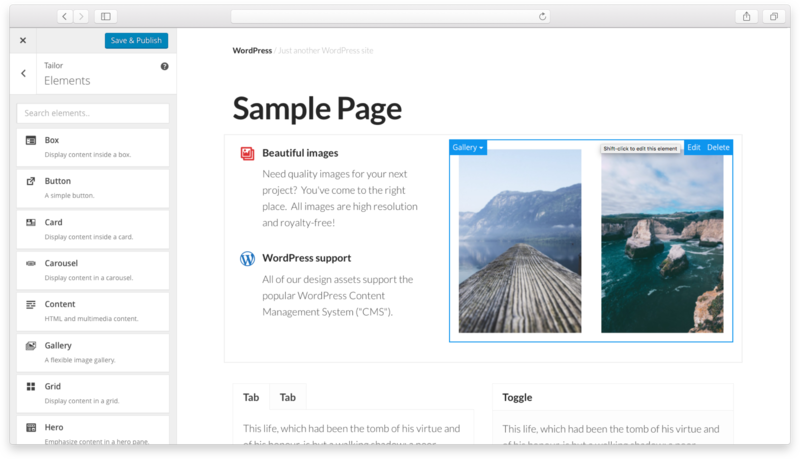 Tailor Page builder provides an easy way to extend the page builder to add custom elements to the builder. Make sure you have Tailor Page Builder installed and activated. If the word plugin got you scared, you’re not alone. I am equally wondering whether I should create a plugin or just dump the code in theme’s functions.php. It’s not difficult to create a small plugin. Just follow through and you will enjoy it.